If you’re going even more lightweight you can also carry dried drops of toothpaste instead of a Microtube inside the handle. This supply will last for about 10 days. A travel toothbrush is always too big, too heavy, and the grip has to be cut off. ;-) And then there’s still the problem with the toothpaste. 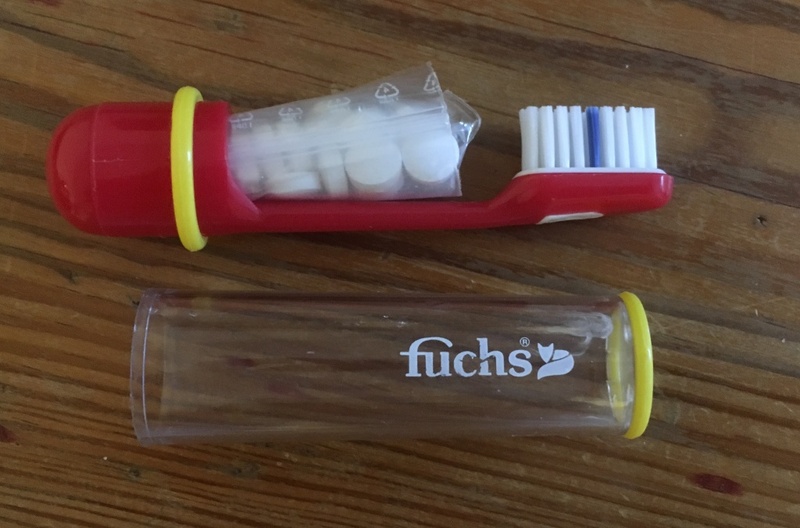 Most caps for travel toothbrushes slide down or burst once the toothbrush is stowed away and got squashed in your pack. Therefore, I prefer solid cases. This leads to the classic two-part toothbrush, where the handle is hollow and serves as a case. Unfortunately, that kind of toothbrush often come with very cheap brushes that are too soft or get weak within a short usage period. The handle has a comfortable round shape, so it fits well in hand and disappears in your pocket without pressing or scraping. The bristles are replaceable. There are different strengths available. Inside the handle there’s room for a micro tube (not included) with about 5 ml toothpaste. That’s enough for two to five days. You’ll get such tubes on intercontinental flights. They can be easily refilled from a large tube. 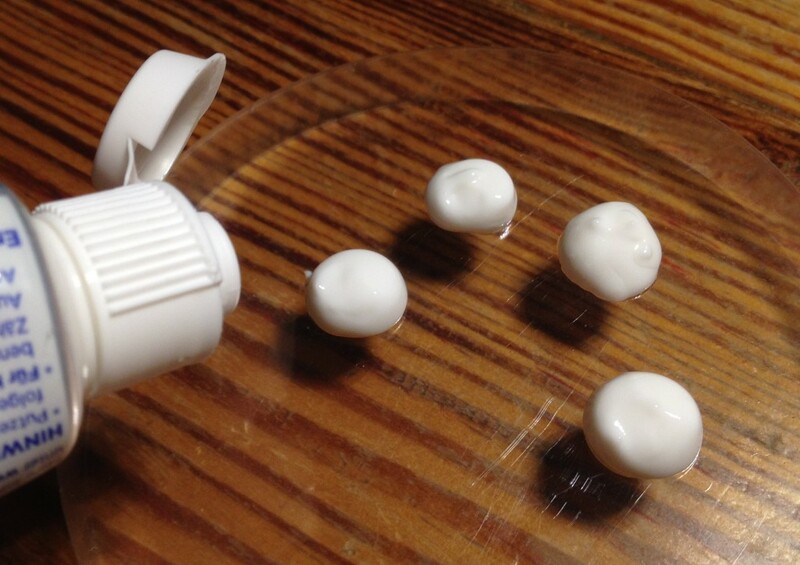 Tip: Press the air out of the Microtube before refilling. The toothbrush only weighs 0.5 ounces (16 grams), the complete set including a full tube of toothpaste only 0.7 ounces (21 grams). What I like with the set is that you have just one single, round part in your hand. While in use, the tube can be stored inside the handle, still. No loose parts, nothing will disappear in the dark. That’s really conviniant outside in the dark. Even lighter than toothpaste and more convenient, too, is an appropriate number of DentTabs. 14 of these will easily fit into the grip, even 20, with good will. Don’t forget to put them into a small plastic bag to prevent them from rehydrating. This will also ease handling. The only downside of this toothbrush: The plug-in connection is not really firm as with most travel toothbrushes. While brushing, the upper part can detach from the handle. The remedy: Just put your thumb on the connector above the yellow ring.